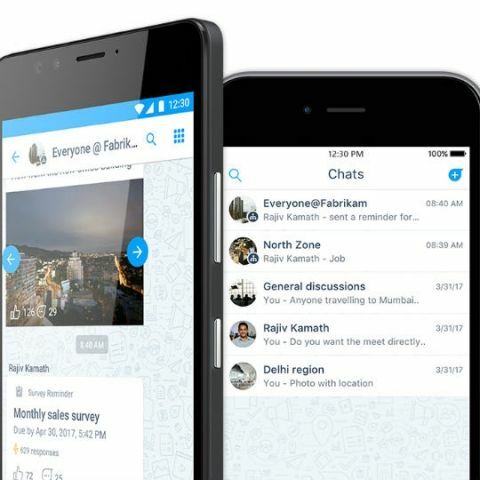 Microsoft has launched its chat-based productivity app, Kaizala in India. The app was in development for three years and is made for communication between large groups. The app can be used with 2G connection speeds and includes the ability to take polls, generate reports, and analytics. It also works in tandem with the Kaizala Management Portal on the desktop. 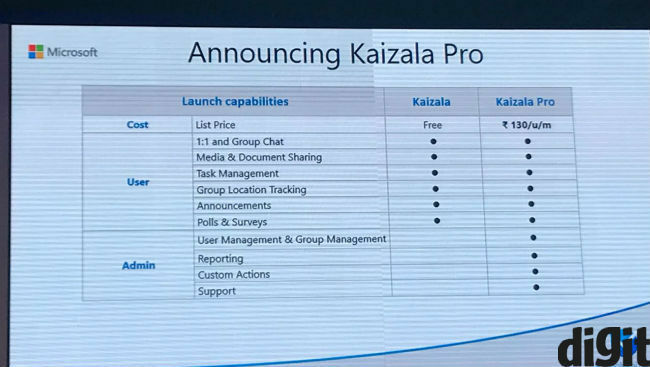 The company and paid version of the app for enterprise users is called Kaizala pro. This version of the app costs Rs 130 per user per month and offers additional features such as reporting, custom actions support, along with user and group management. Microsoft Kaizala is powered by the company’s Azure platform and uses mobile phone numbers as primary unique ID. The app is available as a free download on Android and iOS device. The Pro version is available as a standalone purchase. It will also be available on Windows 10 Mobile as of now. The app was earlier a part of Microsoft Garage, a project that allows any Microsoft employee to participate and create apps for any platform. The company claims that the app has seen “significant” adoption among indian organisations including YES Bank, Apollo Telemedicine, Republic TV and more. The company also noted the app is used by the Government of Andhra Pradesh for real-time governance and is one of the first government organisations to do so.